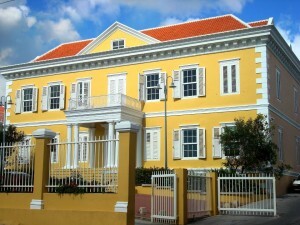 WILLEMSTAD - After days of discussion, all the names of the Members of Parliament are known. This is according to the Chairman of the Supreme Electoral Council Raymond Römer. Seven of the Members of Parliament have become Ministers and their posts are vacant. The law requires that they are succeeded by the next candidate on the electoral list. This requirement has caused some problems within the ruling party MAN because before the elections the candidates had an agreement that the personal votes would be decisive. Number 6 on the list, Yaël Plet nevertheless claimed his spot in Parliament. This at the expense of the number 10 Wimbert Hato, who had more personal votes than Plet. The new parliament must be installed as soon as possible for the new government to have the support of the majority. The opposition parties MFK and Korsou di Nos Tur are already demanding the resignation of the new government due to a lack of support in Parliament. The government only has 4 MPs supporting them.